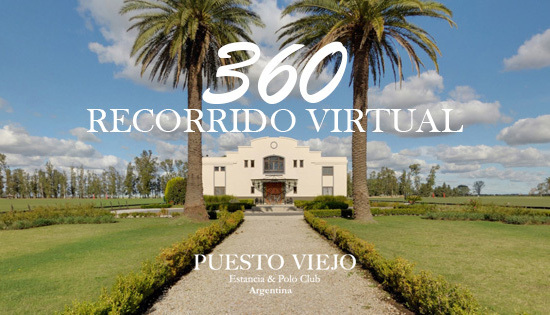 Spring 2011 saw the launch of the Puesto Viejo Estancia Clubhouse, a newly constructed 2 level building specifically designed to host a wide range of social and corporate events in the heart of the countryside. From arrival, the space is designed to impress. Guests make their way down the private driveway, which passes through a sculptured garden and arrives outside grand antique doors and a beautiful fountain. The doors open onto a chic art deco inspired lounge and bar which are complemented by a huge crystal chandelier. Floor to ceiling windows, which continue into the main room, highlight the impressive views of the surrounding polo fields. The main room can accommodate 160 people for seated meals, while the whole Clubhouse can cater for up to 400 people. Whilst the main room can entertain around 400 people for a drinks reception, the flexible Clubhouse format, with its outdoor veranda and adjoining bar area, can extend this to up to 800 people. The dance floor, raised dj platform and high quality sound and lighting system ensure a party held at Puesto Viejo Estancia will be a night to remember.